Hamburger button menus should be used with caution as they can impair user interaction. As they say, "Out of sight, out of mind". When you do need a hamburger button menu, this solution uses CSS to replace the navigation menu with a tappable hamburger icon on mobile devices or any browser with a sufficiently narrow screen. 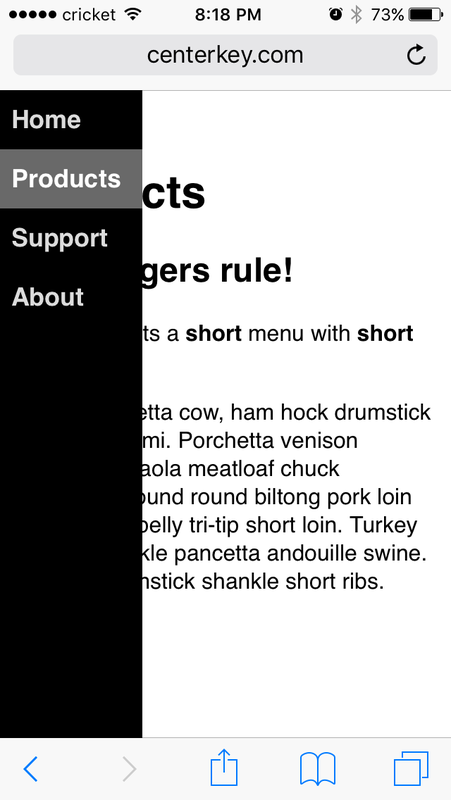 Tapping the hamburger reveals the navigation menu with smooth CSS animation. See the x3000.html test page for an example or follow the instructions below. 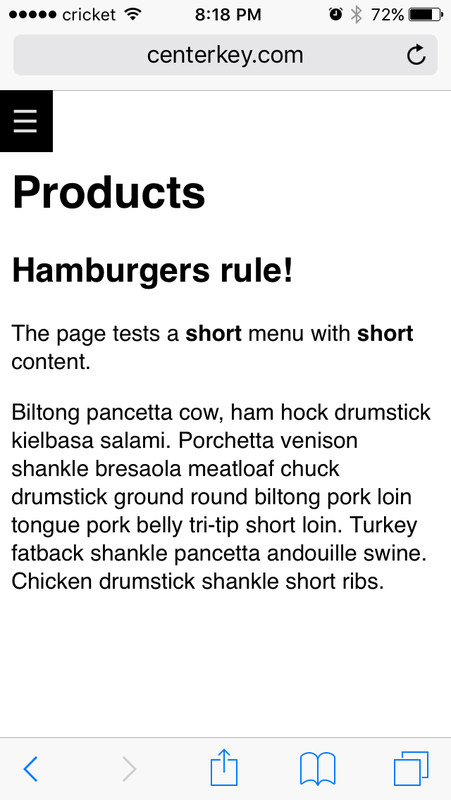 HamburgerMenu automatically highlights the selected menu item. A menu item can be highlighted by adding the class current to the appropriate <li> element in the HTML or programmatically after the page has been loaded. To support old legacy web browsers, add a polyfill for URL to your website. This library has been tested on iPhone and Android mobile devices. If you encounter a bug or have a question, submit an issue.